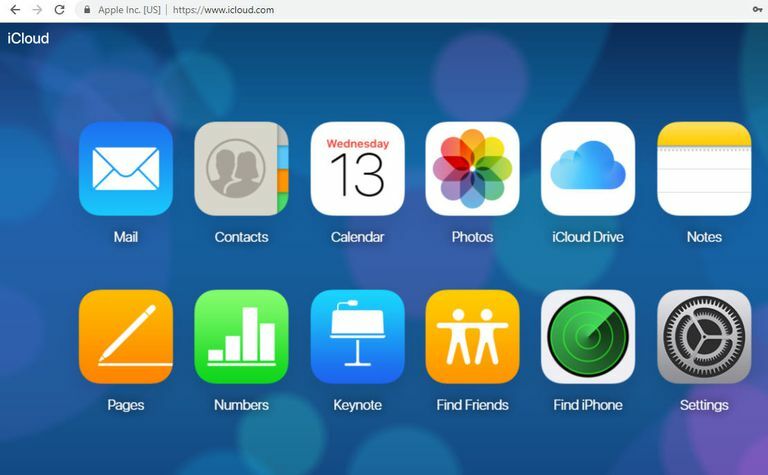 iCloud is commonly used by iPad, iPhone and Mac users to back up photos, videos, and other files, store contacts, view calendars and even send and receive email. You're not limited to one of these Apple devices, however, when it comes to checking your iCloud email. In fact, you can log into iCloud and access your email from a Windows PC or virtually any other device that runs a a standard web browser. You may be somewhat surprised to learn that your iCloud account is fully compatible with Windows 10's built-in Calendar and Mail applications, allowing you to access your email, appointments and reminders via your PC's default feature set. Follow the steps below to get iCloud email set up in Windows 10. The Windows Settings interface should now be displayed, overlaying your desktop. Click on Accounts. Select the Email & app accounts option, located under the Accounts header in the left menu pane. Click on the Add an account button, found in the Email, calendar and contacts section. The Add an account dialog will now appear, containing a list of account types. Select the one labeled iCloud. Enter your iCloud account credentials in the fields provided and click on the Sign in button once complete. A confirmation message should appear, informing you that your account was set up successfully. Click on the Done button to exit the Add an account interface. When the pop-out menu appears, click on the Mail: Trusted Microsoft Store app option, found under the Best match heading. The Windows Mail app may not work as expected with your iCloud email if your account uses two-factor authentication. If you encounter a problem where your iCloud account does not download email or your calendar, but instead displays the error message 'Attention required', then you may need to check your email from a web browser in lieu of this option (see next section below). The Windows Mail app will now launch, with your new account configured to download both your iCloud email and your iCloud calendar. If you're running an older version of Windows or are on another operating system altogether, you can still access your iCloud email from any major web browser. Enter your iCloud username (email address) and password, clicking the login arrow once complete. If your account is enabled for two-factor authentication, you'll now be prompted to enter a six-digit verification code that should have been sent to your iPad or iPhone. Type that code into the fields provided. You might now be asked whether or not you trust the browser that you're using. If you're on a public device or a shared computer, we recommend selecting the Don't Trust button. If you're on your own personal device and do not want to be asked to enter a verification code each time you log into iCloud, click on Trust. If you aren't sure what to do at this time, just choose the Not Now button instead. A dashboard of icons will now be displayed, not unlike those found on your iOS Home Screen. Select the Mail icon to send and receive iCloud email, or the Calendar icon to access your appointments and reminders.